The normal digestive process is crucial to our survival. If something were to interfere with this normal bodily function it would create a cascading effect of health decline. If we cant extract the vital nutrients our body needs from our food then our health and ability to function properly is compromised. When we eat a meal our body immediately begins the process of digestion. This starts in the mouth where chewing breaks down food. The process continues when food is swallowed, travels down the esophagus and enters the stomach. When food hits the stomach, hydrochloric acid further breaks down the meal. After the food is broken down it travels into the small intestine. Throughout its length it has many folds, which helps to maximize its surface area for nutrient absorption. 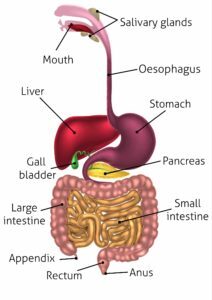 In this stage of digestion the liver and gallbladder produce and secrete bile into the small intestine to breakdown fat. The liver also processes and regulates many nutrients as they enter the blood stream. In addition to nutrient regulation, the liver produces cholesterol, and filters the blood of toxins. The Pancreas, located just below the liver and behind the stomach, secretes additional enzymes to further aid in digestive breakdown. The pancreas is crucial in the regulation of blood sugar. It secretes insulin when blood sugar levels rise after a meal. Insulin binds to receptors on muscle and fat cells to initiate the uptake of sugar. Sugar is then used as energy or stored in the form of fat. Once food has passed through this portion of the lower digestive tract, roughly 90% of the nutrients have been absorbed. 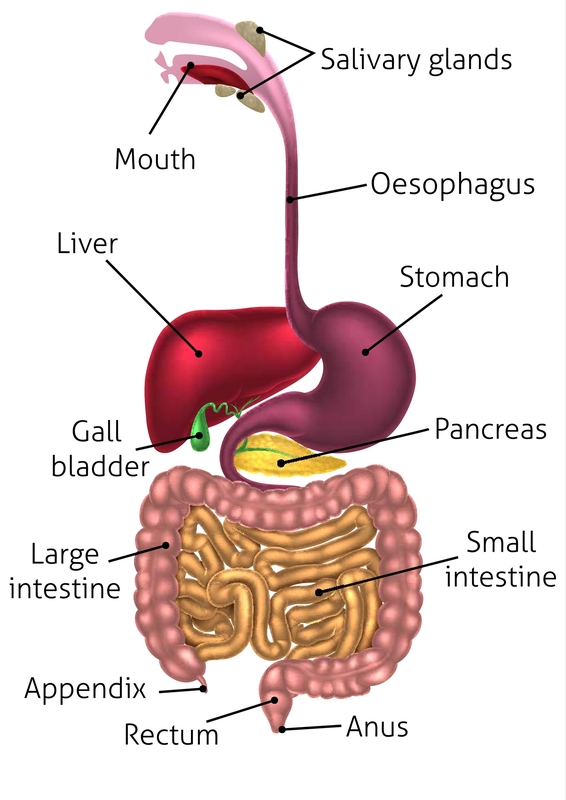 At this point the digested food moves into the large intestine. The large intestine is responsible for absorbing water and is the home of many bacteria that aid in the final stages of digestion. These bacteria extract the remaining amounts of nutrients from the digested food producing waste. 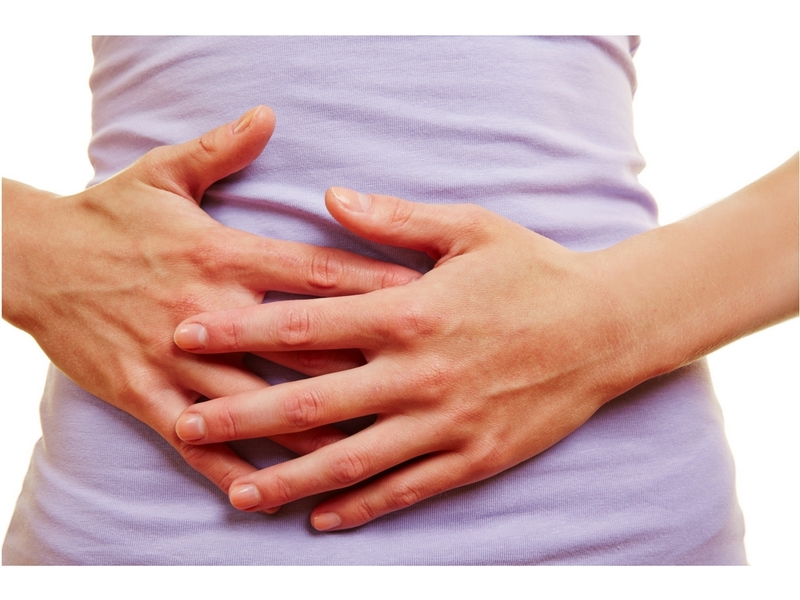 Normal digestive function is controlled by the parasympathetic nervous system. The nervous system is broken down into two divisions. The sympathetic portion, commonly known as fight or flight is responsible for activating our stress response. When we’re in a sympathetic state our heart and breathing rate are elevated, we begin to sweat and our pupils dilate. In this state our body is preparing for survival. The parasympathetic half is responsible for resting and digestion. When we eat a meal our parasympathetic nervous system is activated in order to digest and break down our food. If this part of the nervous system doesn’t work properly it can affect our ability to extract the nutrients from our food that we need for survival. Also, specific parts of the digestive process wont be able to do their job accurately. In other words the stomach may not produce enough acid to break down food, or the gallbladder may not secrete enough bile to break down fat. On the other hand the stomach and gallbladder may produce too much or become over activated. The point is that one or more parts of the digestive process may be affected. Even if one part is not working properly this can affect the other parts as well. Its like the one guy on the assembly line that cant do his job properly and as a result everyone else is affected and the entire process overall is affected. The primary type of interference to normal function of digestion is when there is a blockage in the normal function of the parasympathetic nervous system. In other words the control center of digestive function is blocked from doing its job. 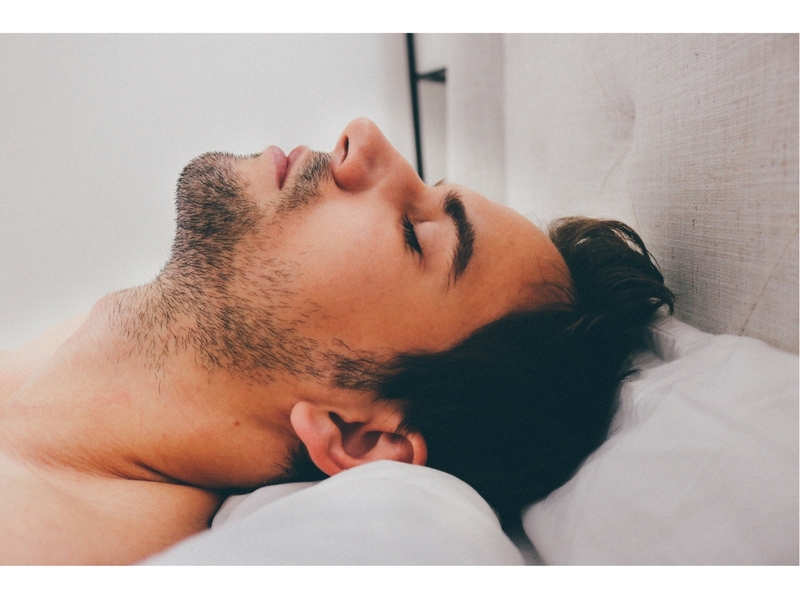 Think of it as a disconnect, where the parasympathetic nervous system isn’t talking with the digestive process. It’s like using a cell phone when you have only one bar instead of full bars. You can partially hear what the person is saying and some of the information may get through, however you can’t have a clear conversation. A blockage in the parasympathetic nervous system may be caused by a structural abnormality called an Atlas displacement Complex. The nerve tissue that is protected by the Atlas (C1) and Axis (C2) is the major source of parasympathetic control. If these spinal vertebrae are displaced in anyway they will affect how the parasympathetic nervous system functions and ultimately how the organ systems that are connected to this tissue function. This is why we have patients who often report that they’ve noticed improved digestion while under Specific Corrective care. The goal of our care is not to improve digestion but to restore balance to the nervous system, which helps the body as a whole operate better. Numbness and Tingling: Normal or a Warning Sign?